Sightseeing with "Hop on-hop off" bus, ship or even by walking. 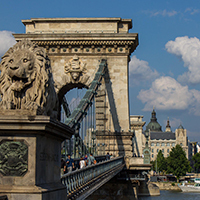 The sightseeing buses go through Budapest's most famous places on two routes. The tickets are useable for 48 hours. You can jump down and have a closer look on any sight whenever you want.